My name is Martyn and I have been growing succulents for many years. 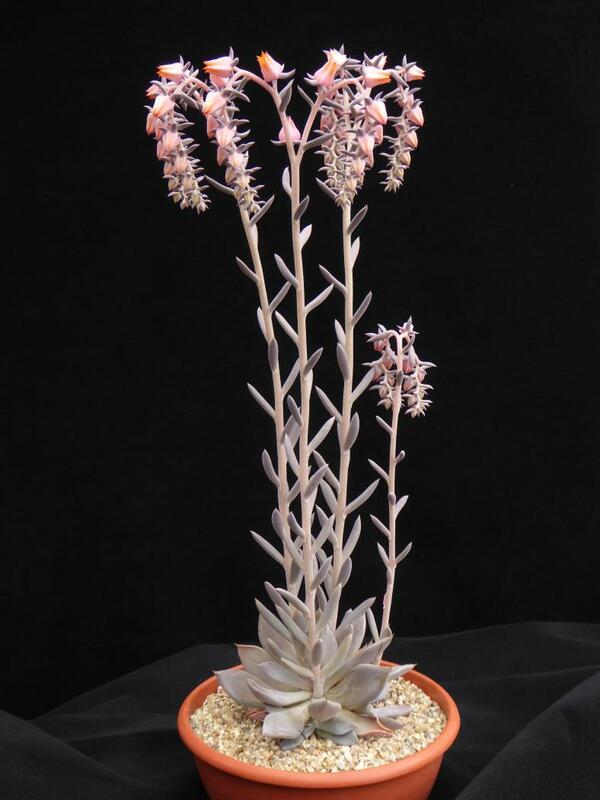 Recently I have sown quite a few Echeveria species from Gerrard Koehres seeds. 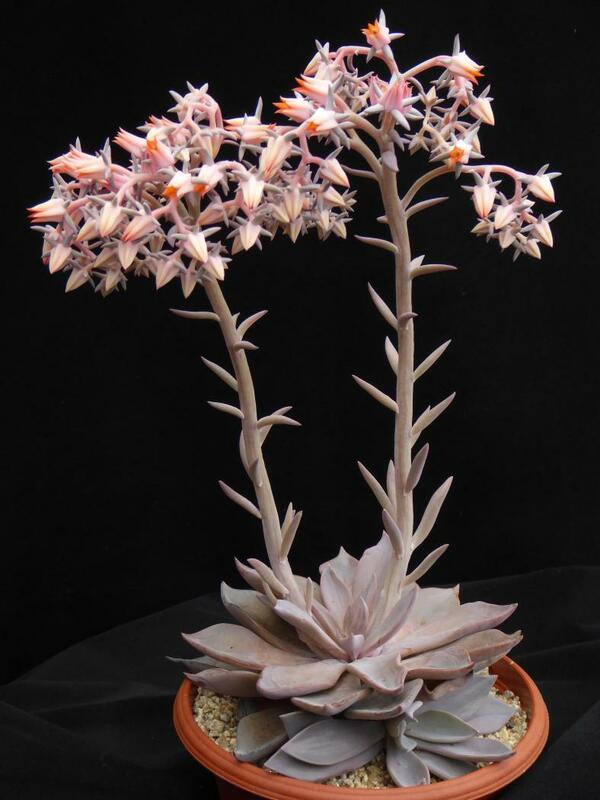 This year I have flowered what I believe to be Echeveria trianthina and Echeveria rodolfii. They are two lovely plants and I am hopefull that they are good species but second or third opinions are welcome. I do have resonable photos if they can be of use here. Unfortunately both batches of seed germinated poorly and I got one plant of each specie! I have the 2 plants from Köhres as cuttings. Your pictures are beautiful and your plants look great. About the triantina we are not sure but the E. rodolfi is a good species. In the meantime Gerhard has identified both plants, so no problem any longer.